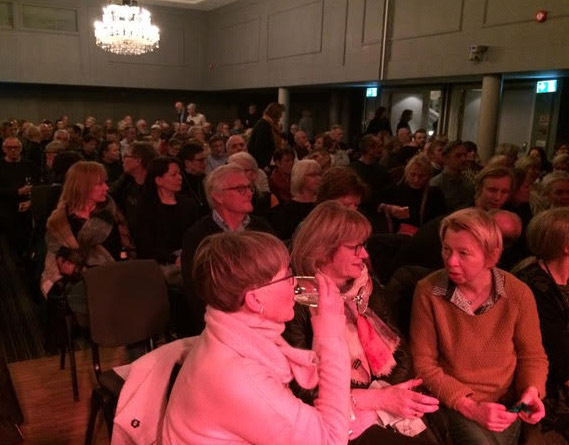 • Much smaller and more intimate venue in the audience at 300–350 persons in Tromsø and maybe 1,500 in Bodø. • Less guitar in Tromsø. The volume from the guitar, at least where we sat in the middle of the second row, were lower and the solos from the very talented Mr Whitehorn were not that stretched out in Tromsø as in Bodø. Much of Geoff’s guitar playing in Tromsø was also more bluesy than I’m used to. • More sound from Hammond-Leslie in Tromsø. I think the organ sound from Mr Phillips were more released there. Longer solos, more licks and fills. I like it since I’m a big fan of good organists using greasy Hammond-Leslie. • The audience was even more at its toes in Tromsø. Quite natural since the venue was more intimate. But the impression was also that a majority of the people really was familiar with most of Procol’s song, which is a bit surprising this far north in the outskirts of Europe. So the atmosphere was wonderful. • The band was really at its top in Tromsø. I think the strong connection and good communication between band and audience encouraged the band to a level of improvisation above normal. Many songs were to some extent differently performed in Tromsø, compared with Bodø. In all cases to the better, I would say. • GB was very relaxed in his chatter between songs although he seemed to suffer from some pain (in his shoulder?). • GB’s voice was at its best through the performance although you could notice some fatigue towards the end of the concert, especially in The Only One. 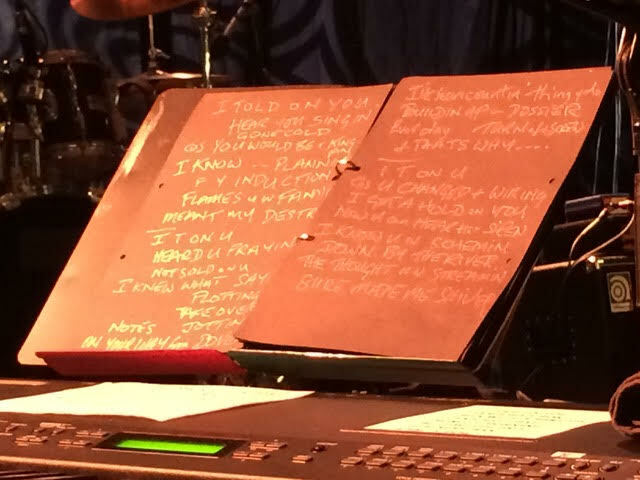 • Only one item was different in the setlists between Bodø and Tromsø. Whaling Stories (Bodø) is something I appreciate very much but since I heard it the night before I really like Beyond the Pale was performed in Tromsø instead. And when the intro of BtP was heard there was like a huge 'WOW’ and a lot of hand clapping through the audience. • Very nice that Procol was so inspired in Tromsø that the band performed the spontaneously composed Aurora (Borealis? ), as well as the stretched out intro to AWSoP with songs of JS Bach, Percy Sledge and Bob Marley and the Wailers. The whole audience was standing up, happy faces, joyful tears in many eyes, singing along all through the performed parts of When a Man Loves a Woman and No Woman No Cry as well as the whole AWSoP. 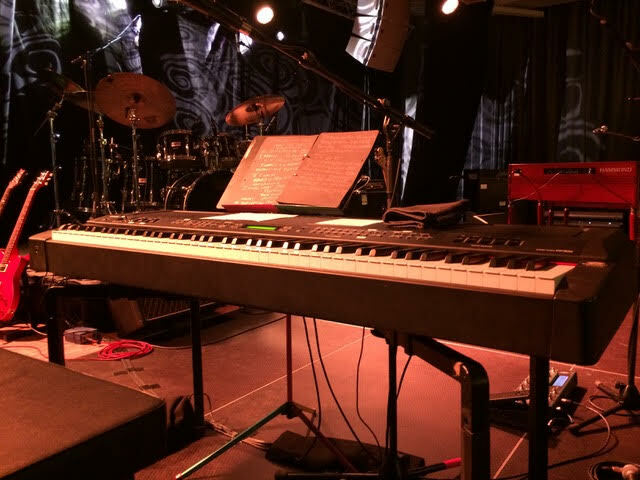 • All in all the concert in Tromsø was one of the best live performances I heard from Procol Harum throughout the years. Thanks to your request to us to report from the Tromsø show Inger managed to arrange that all three of us got reserved seats in the middle of second row. 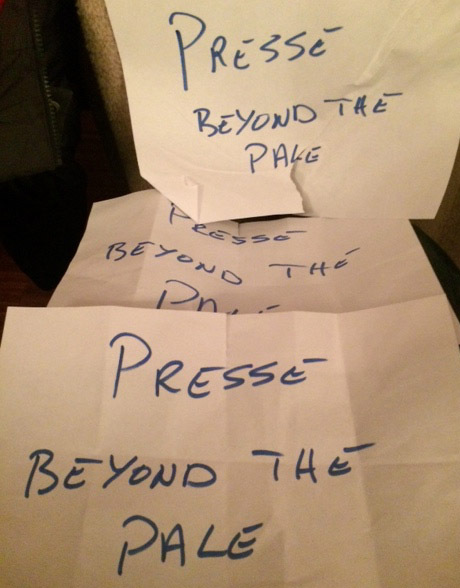 Here you see photos of the "press tags”. These seats were extra good to have at this very occasion since there were no numbered seats in this venue. We only had some ladies from the arranging culture organisation in front of us on first row.